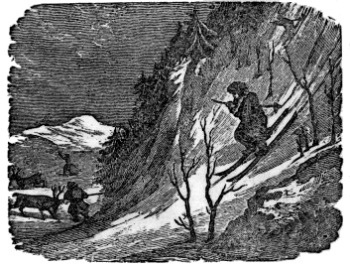 Winter Sport was published in the poetry collection, Gems of Poetry, for Girls and Boys , published by Rufus Merrill in 1850. We feature it in our collection of Winter Sports Stories. Down, down the hill how swift I go! A horse or cart I do not fear. For past them both my sled I steer. I'll up again to dash by thee! What pleasure has the glad school-boy! Enjoy other poems featured in our collection of Poems for Children. Add Winter Sport to your own personal library.